A lifting cream that helps maintain skin elasticity that can easily be broken down with habitual facial expressions. This cream helps fight gravity by improving firmness and smoothness of the sagging skin caused by frequent facial changes and aging. 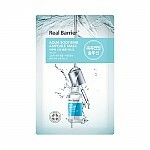 Real Barrier is specifically formulated for dry and sensitive skin types, but with a twist: it features hyaluronic acid and patented dual ceramides in addition to MLE. These two extra ingredients go a long way toward hydrating and comforting skin. Real Barrier's goal is to reinforce and support the skin's natural barrier, which is responsible for keeping moisture in and irritants out. 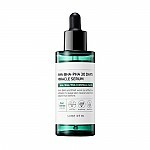 It accomplishes this with a slew of beneficial ingredients, while also avoiding 10 ingredients known to be harmful to dry and sensitive skin. Radiant your Skin Care with the [Real Barrier] Active-V Lifting Cream 40ml! we aim to provide you best korean products to take good care of your skin, including Cosmetics, Skincare, Cream. Hydra Cream online. Apply to areas where wrinkles are anxious.